цирроз печени, лист ожидания, трансплантация печени. 1. Андрейцева О.И., Журавель С.В., Гуляев В.А., Чжао А.В. и др. 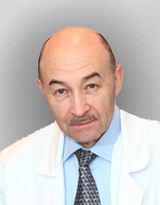 Ведение пациентов в листе ожидания транс- плантации печени // Consilium Medicum. Гастроэнтерология. 2006. No 2. С. 66–70. 2. Готье С.В., Константинов Б.А., Цирульникова О.М. Трансплантация печени: Руководство для врачей. Москва: МИА. 2008. С. 240–246. 3. Хубутия М.Ш., Андрейцева О.И., Журавель С.В., Гу- ляев В.А. и др. Методика формирования листа ожи- дания трансплантации печени // Трансплантология. 2009. No 1. С. 13–19. 4. Botta F., Giannini E., Romagnoli P. et al. MELD scoring system is useful for predicting prognosis in patients with liver cirrhosis and is correlated with residual liver func- tion: A European study // Gut. 2003. Vol. 52. P. 134–139. 5. Forman L.M., Lewis J.D., Berlin J.A., Feldman H.I. et al. The association between hepatitis C infection and survival after orthotopic liver transplantation // Gastro- enterology. 2002. Vol. 122 (4). P. 889–896. 6. Kamath P.S., Wiesher R.H., Malinchoc M. et al. A model to predict survival in patients with end- stage liver di- sease // Hepatology. 2001. Vol. 33. P. 464–470. 7. Killenberg P.G., Clavien P.A. Medical Care of the Liver Transplant Patient. 3rd Edition. Blackwell Publishing. 2006. Р. 47–48. 8. Kim W.R., Dickson E.R. Timing of liver transplantation // Semin Liver Dis. 2000. Vol. 20. P. 451–464. 9. Robert S., Brown K.Jr., Kumar S. et al. Model for end stage liver disease and Child-Turcotte- Pugh score as predictors of pretransplantation disease severity, post- transplantation out-come, and resource utilization in United Network for Organ Sharing Status 2A patients // Liver Transplantation. 2002. Vol. 8. P. 278–284. 10. Starzl T.E., Demetris A.J., VanThiel D. Liver Transplan- tation // N. Eng. J. Med. 1989. Vol. 321. P. 1014–1022. 11. Teperman L. Donor-Transmitted Diseases // Liver Trans- plantation. 2010. Vol. 16 (10). P. 40–44.